You haven’t experienced cold until you’ve dug pipis in the middle of winter with the water up to your neck. Up until a decade or so ago the South Australian pipi fishery was only fished in the warmer months, from November through May. Whilst this was undoubtedly more comfortable for our crews, it had its downsides. The first being we were obviously unable to supply our increasingly sought after fresh product to the market year round and secondly, seasonal employment made it difficult to find and retain good people both on the beach and in the factory. Working closely with the regulator PIRSA and the scientists SARDI, we started to explore the concept of ‘winter harvesting’ in 2011. 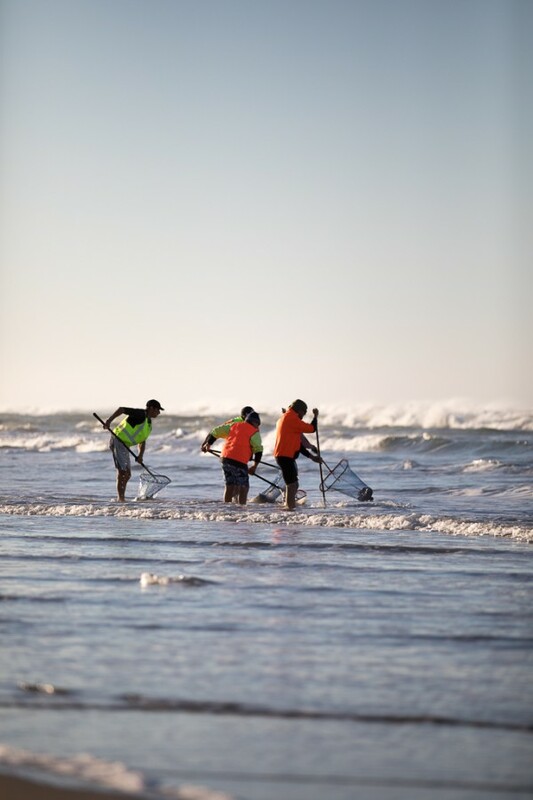 After three years of experimental fishing, all the key stakeholders signed off to allow year round fishing in our now, total catch quota managed fishery. This significant change in our business has allowed us to offer our customers continuity of supply throughout the year. Our crews do a magnificent job harvesting the catch in extremely challenging conditions. The water is cold, bloody cold, around 11° C at times and the seas can be rough. Really rough - enough to knock you off your feet and have you swimming back to the relative safety of the shoreline! It’s a tough gig, but our crews wouldn’t have it any other way. Spare a thought for them next time you open a packet of our pipis in the colder months of winter and spring.